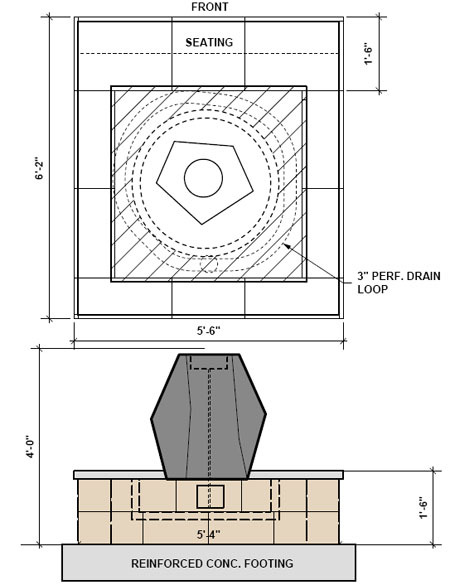 Here is a design detail for a water feature in an elevated walled bed. 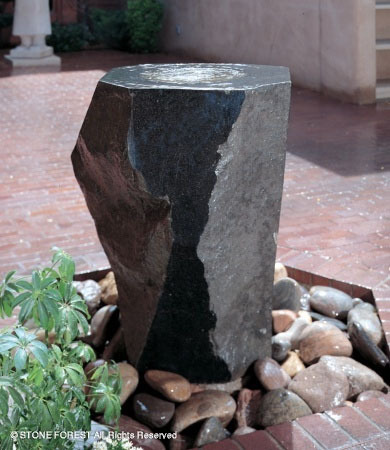 The water feature being used in this installation is a Mizubachi black granite piece from Stone Forest. The wall surrounding the stone will be faced with Sonoma Fieldstone Veneer and capped with a bluestone seating ledge.